Most of the foods we eat nowadays harm our bodies. They are toxic and form acid in the body. The effects of such foods plus other factors like stress, lack of sleep and hormonal imbalances increase risk of diseases and make it hard to lose weight. Eating alkaline foods is a great way to reduce risk of diseases, stay energized and lose fat. It’s worth noting that most alkaline foods are plant-based foods. Here are 10 alkaline foods you should be eating. Unlike most nuts, which are acidic, almonds are alkaline. Research shows that they lower bad cholesterol and boost energy levels. Drinking almond milk can also give you these health benefits. Broccoli is a highly alkalizing food. According to research, broccoli fights cancer, improves digestion, detoxifies the body, and improves cardiovascular system. Find different ways to add broccoli to your diet and make sure you eat it at least 4 times a week. Avocado is one of those foods you should eat every day. It will neutralize the acids in your stomach,reduce risk of cancer, lower bad cholesterol and improve heart health. Note that saturated fats from avocados aren’t bad for your health, but if you’re trying to lose weight calories are a concern, one large avocado has 400 calories. Spinach is one of the healthiest leafy greens. It’s highly alkaline and has lots of health benefits. Add it to your salads, smoothies, and main meals. Cucumbers have high water content and can keep you hydrated. They also contain antioxidants which fight inflammation. Lastly, research shows that cucumbers reduce risk of cardiovascular disease and fight different types of cancer. Celery is rich in vitamin C, which plays a vital role in our health. Vitamin C fights inflammation, strengthens immune system and improves cardiovascular health. Luckily, it’s easy to add celery in your diet, put it in smoothies, soups, and main meals. All bananas aren’t the same. 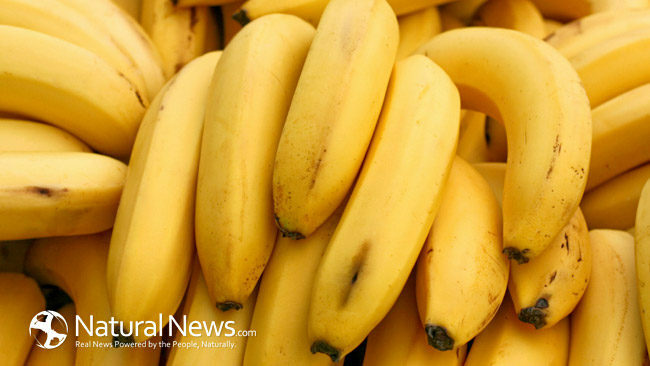 Unripe bananas are acidic and can cause stomach upset. But ripe bananas (with brown spots) are highly alkalizing and have plenty of vitamins and minerals. Watermelons will remove toxins in your body due to high water and fiber content. They’ll also give you alkalinity and lots of nutrients. There’s a misconception that lemons are acidic but after digestion they become alkaline. Add a slice of lemon to drinking water or drink fresh lemon juice to get the many health benefits of lemons. Kale is known for its disease fighting abilities. It can lower bad cholesterol, reduce risk of cancer, and detoxify the body. Eat kale 3-4 times a week to get these benefits.